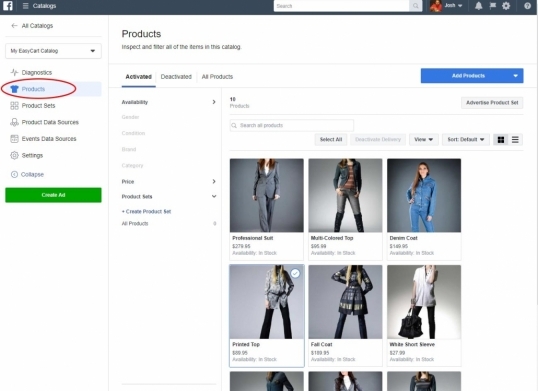 In this third tutorial, we show you how to create a Facebook catalog of products using your new EasyCart Premium shopping system! In our first tutorial, we showed you how to setup Facebook pixel tracking for all your WordPress pages and ecommerce transactions. Our second tutorial discussed how to install our new Facebook & Instagram feed extension for EasyCart. Now that you have pixel tracking and the Facebook & Instagram feed extension installed, lets look at creating a new Catalog on your Facebook system! 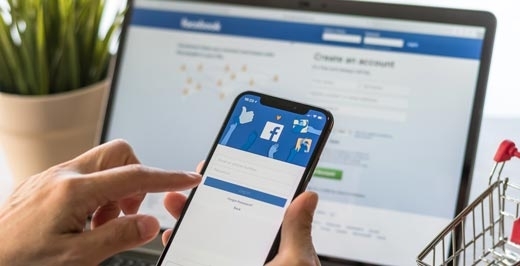 The Facebook business manager allows you to setup a catalog of products, and this can be used in a variety of areas, such as your 'Shop' products on Facebook, as well as creating very nice carousel ads on Facebook & Instagram. 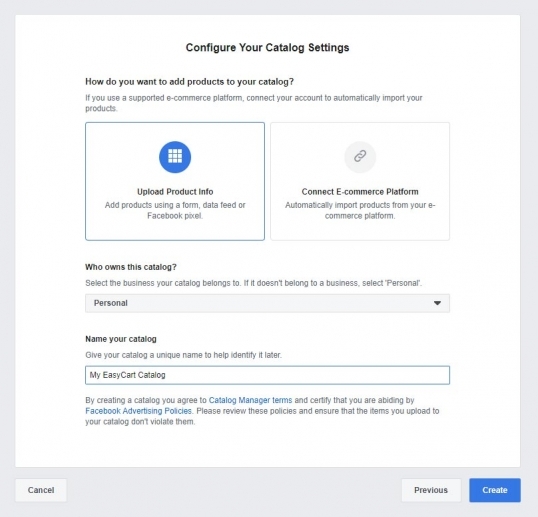 Open your Business Manager -> Catalogs section to begin connecting EasyCart to your Facebook system. 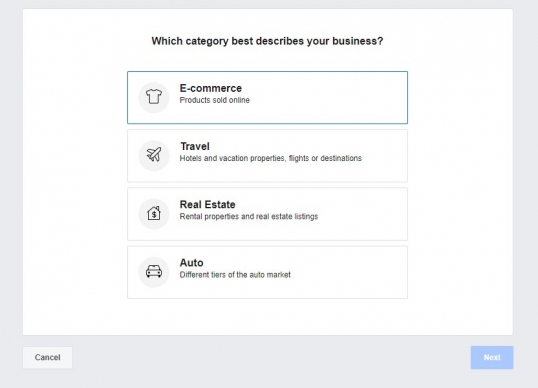 You will be asked what type of business best describes your catalog, choose E-commerce from this section. Next you will be asked to upload your product info or connect to a platform. Choose 'Upload Product Info' and give your catalog a name. Now that you have a catalog created, it's time to add a data source, and this is where we want to connect and have it pull your products from your WordPress EasyCart system. Simply go to 'Product Data Sources' and choose 'Add Data Source' to get started. 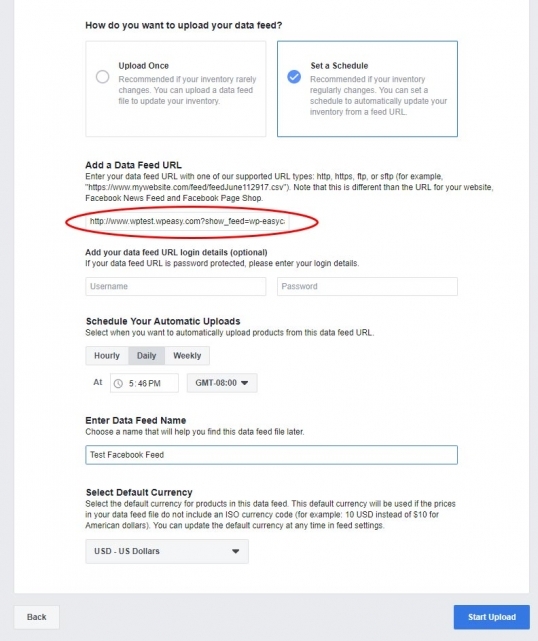 Now you can paste in your Data Feed URL provided by the EasyCart Facebook & Instagram system. You can choose to set a schedule so that Facebook will check your products hourly, daily, or weekly. 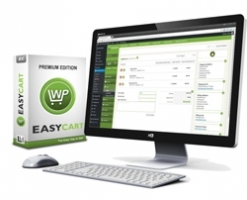 Remember, your feed is found in your WP EasyCart -> Settings -> Third Party section. Visit tutorial #2 if you can't find it. IF you wanted to upload a custom CSV file, simply download our CSV file and customize it and choose to upload it one time here. It's that simple! View your Products in Facebook! Once you have successfully made the connection, you can go to the 'Products' section and should start seeing your products pulled into Facebook. You can customize every image, title, price, and description by going to your EasyCart product -> Facebook Options panel. What's Next? We will discuss how to create advertisements and beautiful carousel displays for your products so you can sell on Facebook and Instagram.